RAM read write speeds is over 5GBps while normal HDD and SSD can barely reach 200-500 MBps. So using RAM for caching once the files have been read in to the RAM cache, subsequent access to the same files is really fast and makes game load as well as client boot faster. 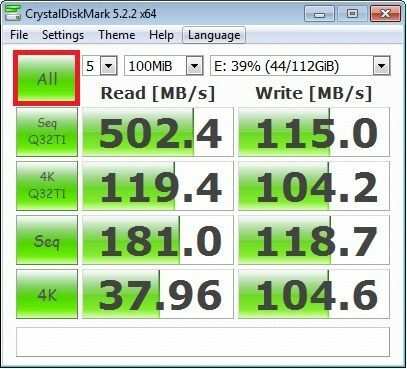 There are SSD that have read speed over 2GBps but they are very expensive, thus using RAM as cache is both economical as well as provide better performance. Here is the image when you test without ram cache sample image disk click "all" button. After applying 1024 ram cache on image disk click "all" button and wait for the result. Please refer “Disk Management” to setup disk cache according to above. In new version the caching is good that you do not need to use “Super Cache”. There is no need to set more than 2048 MB Cache for Writeback disk. If you have 2 or more Writeback disk, set 2048 MB cache to them as well. For image disk, set 2048 MB for every image you have. if you have 2 images then set 2 x 2048 MB cache. Never set 100% of SSD size as SSD cache. When your server is turned on for first time and your clients boot and load games then the idle % for game disk will be low and can reach 0% idle. This is normal as the server doesnot have any cache in RAM at first. 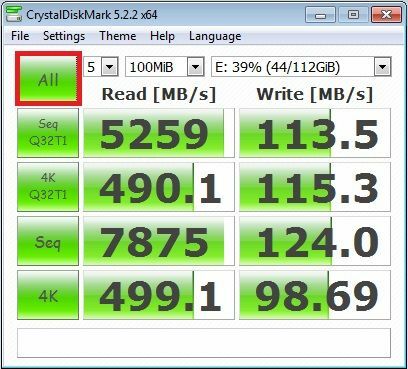 If you are using NVMe SSD then format the SSD to 64K allocation unit to get best performance, any other allocation unit the performance was found to be less than on 64K allocation unit. Important: If the cache is not working after you have set it then do the following. 1. Restart the server. After restart the CCBoot service will start in startup and make the cache works. 2. If above doesnot make Cache work, then re install the CCBoot and then reboot the server once.